Sony Computer Entertainment PlayStation Plus Membership is a unified Playstation service that provides subscribers with free games, discounts, multiplayer connectivity and much more, to all of their Sony Computer Entertainment Playstation products. 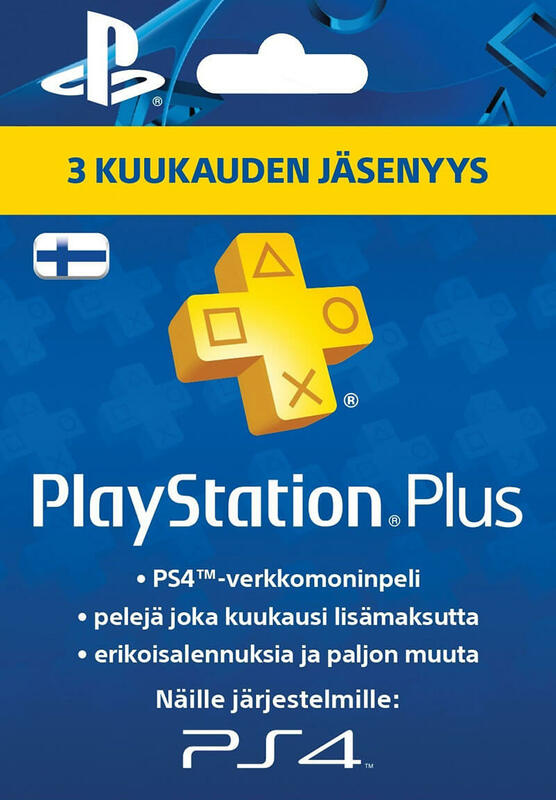 Playstation Plus - 3 month membership (FI) grants your account a 3 month (90 days) Playstation Plus membership. Valid only for Finish accounts. PlayStation Plus expands your gaming horizons with a growing collection of games inluded with your membership. From action-adventure to shooters, you'll always have something great to play. PlayStation Plus grants you early access to betas, demos as well as access to exclusive betas. 1 GB of Cloud Storage gives you space to save your games and your saves if you have multiple consoles or just want to back up you saves.